The FDA issued a Drug Safety Communication yesterday about a popular class of antibiotics, including Bayer Pharmaceutical’s Cipro and Johnson & Johnson subsidiary Ortho-McNeil-Janssen Pharmaceutical’s Levaquin. The FDA is requiring drug labels and medication inserts be updated to better describe the serious side effect of Peripheral Neuropathy that may result from use of this class of medication. Peripheral neuropathy, a type of nerve damage, may develop soon after the patient has taken fluoroquinolone orally or by injection, and may be permanent. Symptoms of nerve damage include pain, burning, tingling, numbness, weakness, or a change in sensation to light touch, pain or temperature, or the sense of body position. The affected fluoroquinolone drugs include: levofloxacin (Levaquin; Janssen), ciprofloxacin (Cipro; Bayer), moxifloxacin (Avelox; Bayer), norfloxacin (Norixin; Merck), gemifloxacin (Factive; Cornerstone), and Ofloxin (Janssen). 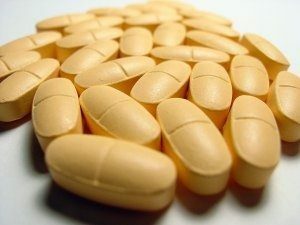 The FDA has urged doctors to make their patients aware of this potential side effect, and recommends discontinuing the use of fluoroquinolone antibiotics if patients begin to develop symptoms of neuropathy. If you or a loved one has experienced this side effect while taking fluoroquinolone antibiotics, please tell us your story here or contact us at Thornton Law Firm at 888-341-1405.